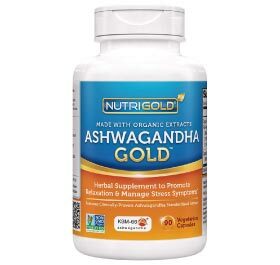 One serving of Nutrigold Ashwagandha Gold measured 300 mg Organic KSM-66 root extract with of 15 mg (15%) Withanolides. Furthermore, 15% withanolides is highly potent and very effective, considered to be above average in this supplement category. However, product falls short of 500 mg minimum extract criteria.